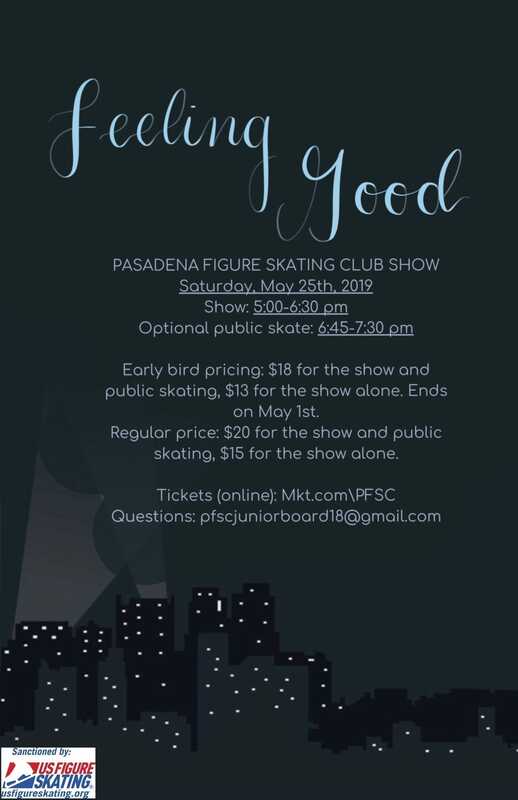 You do not want to miss seeing your talented friends, family and fellow skaters as well as our amazing group of guest skaters, including 2019 United States national novice silver medalist, Aubrey Ignacio! Ticket costs range from $8 – $20 and early bird tickets are available until May 1. PERFORMERS: If you would like to perform in the show, registration is now open. The registration form can be accessed here. Space is limited, and performers will be accepted on first come first serve basis. For questions, please contact Salla Kim, PFSC Junior Board President at pfscjuniorboard18@gmail.com.